Google Drive is one of those best services that works best when you are all in. The search & productivity capabilities of Drive and its connected apps make Google’s cloud storage solution an ideal place to save everything. There’s no need to wonder if you saved an image to your Downloads folder or another cloud service. You know it’s in Drive, and Google’s search powers make it easy to find. But there’s a big sticking point to Google Drive: It can be tricky to save articles and other random bits from around the Web (which services like OneNote and Evernote excel at). Sure, there’s Google Keep, and it’s a pretty good note-taking and organization tool but there’s a lot it doesn’t do. 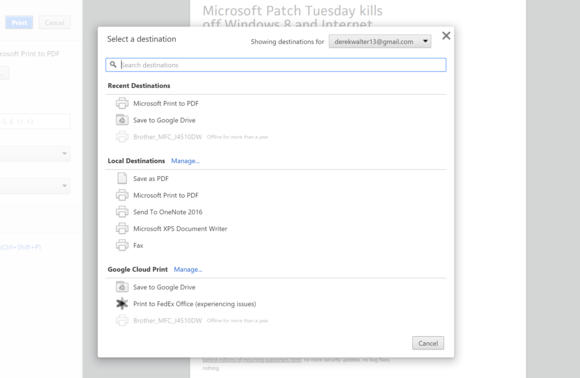 Fortunately, there are ways to supercharge Google Drive’s Web-saving abilities. There’s no official extension or app to specifically clip articles into Google Drive. So here’s the workaround. If you are a Chrome user, hit Ctrl + P when you’ve found an article you want to save, then select Destination > Change > Save to Google Drive. This will then save the webpage to your Drive as a PDF. 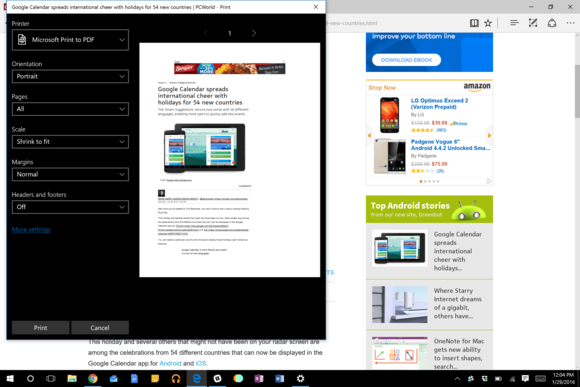 If you’re using Microsoft Edge or another browser, your best option is to save the page as a PDF. 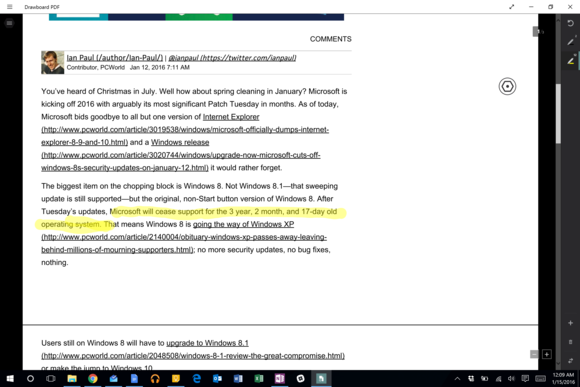 You can save webpages as PDFs natively in Windows 10, or use a tool like the superb CutePDF if you’re using an older version of the operating system. 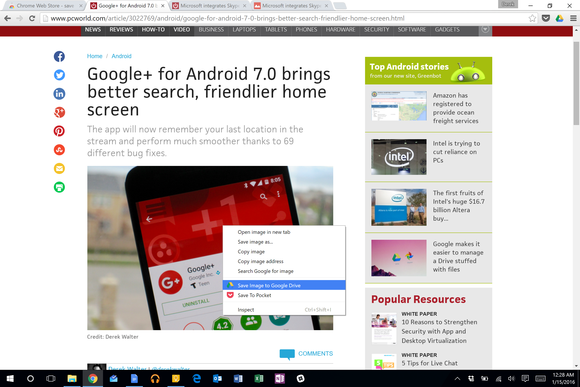 Once the page is captured, save it in your Drive folder or upload it directly into the Drive website. If you have a Surface or other Windows touchscreen device, you can then mark up the document (put that redesigned Surface Pen to use!). Your changes will sync to Drive and be available on other computers or mobile devices. If you want to mimic a service like Pocket and save clean, ad-free versions of webpages, use a tool that strips out all the advertisements in your browser. 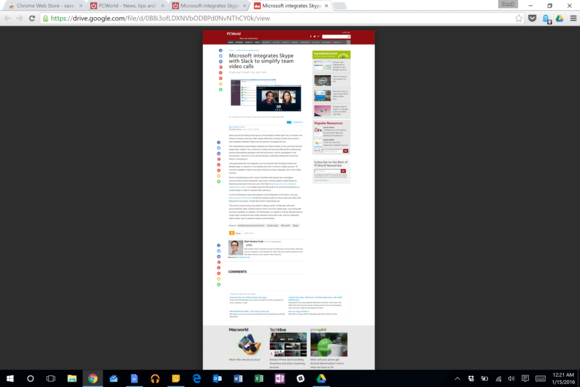 Chrome users can install Readability or a similar extension, while Microsoft Edge and Mozilla Firefox natively include “reader” modes that perform the same task. Before you save an article to Drive, first click the Readability or reader-mode icon to produce a clutter-free article to add to your collection. Fortunately, the method for saving most other types of content to Drive is more straightfoward, thanks to the official Save to Google Drive extension for Chrome. Simply right-click on the desired image, document, HTML audio link, or video and select Save to Google Drive it’s that simple. Note, this tool can also save an entire webpage, but only as a PNG image rather than a PDF, which isn’t all that useful. There are a few other options for an HTML page as well, which you can see if you right-click on the Save to Google Drive extension and select Options. Given Google Drive’s supreme searchability, folders might seem unnecessary. But once you’ve begun collecting all kinds of content from the web using the above methods, Drive can become pretty cluttered. It’s a good idea to dedicate folders to separate content types. One folder for saved articles, another for audio clips, and a third for web images might be just enough to help you find what you need in a pinch. These tips should help make Google Drive what it’s intended to be: that one place where you store everything. As a result, you will never have to wonder which cloud service is home to which of the many random items you’ve saved from the Web.